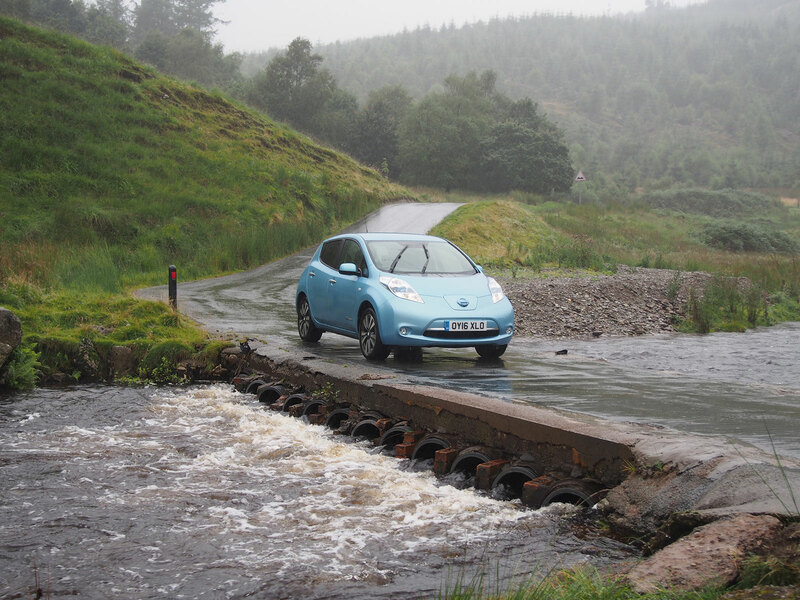 This page is all about our long term test of the Nissan Leaf 30kWh Tekna. Updates include how we got on with the car, trips we accomplished, infrastructure commentary of the time and how much the Leaf cost to run over the course of our ownership. As you will see, the results were surprising and the Leaf fit into our lives seamlessly. 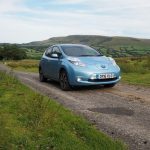 For those who’ve followed my driving of the Nissan Leaf 30kWh Tekna, OY16XLO, you’ll know that I’ve enjoyed the delights of driving electrically and more often than not, for free. 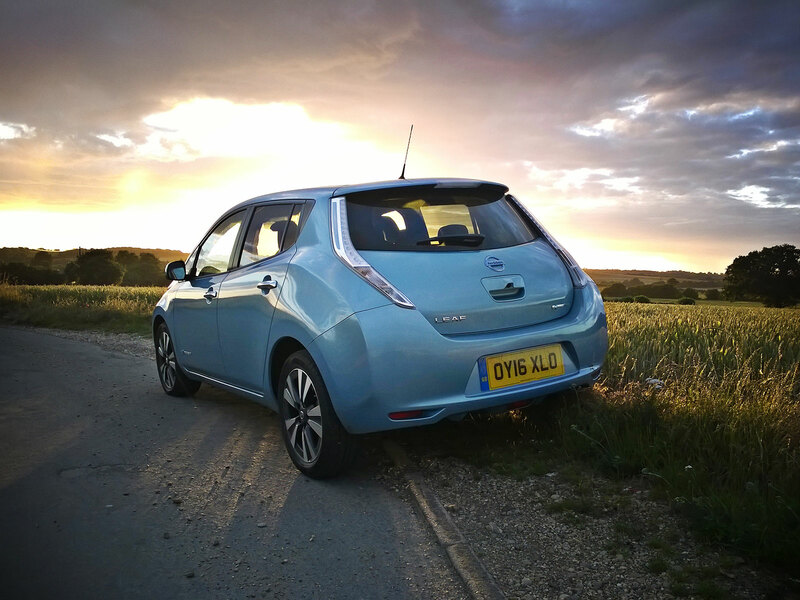 It’s one of the great pleasures of electric vehicle ownership and provides a superior sense of freedom, which is otherwise lost as you watch the pounds disappear from your fuel tank. However, there are a few gripes with electric car ownership that aren’t related to the car itself but that need addressing with urgency. Up until now, I’ve been fortunate enough to only need the car on local/local area trips. 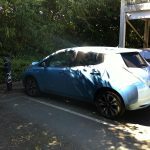 This has meant I’ve taken full advantage of charging the Leaf for free at Waitrose and St Albans 3.5kW or 7kW charge points via the Source East scheme. They are plentiful whereas electric cars are not. I do, obviously, have a Source East card that makes this possible and convenient. But what if I didn’t, or wasn’t from the area? 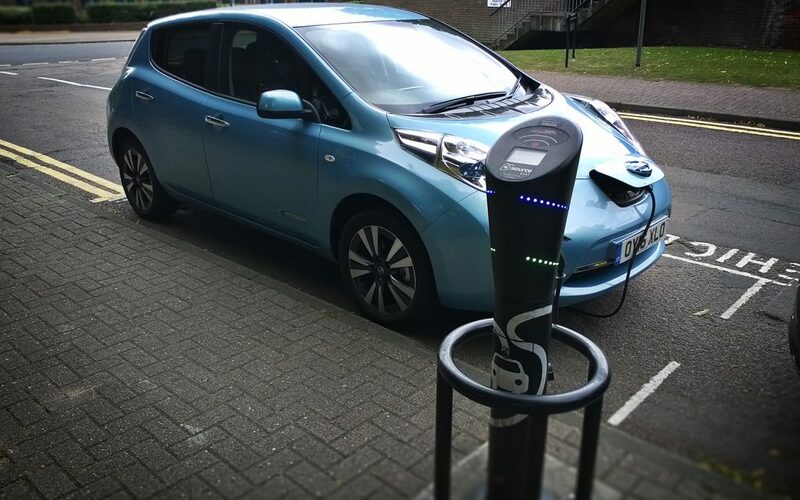 Following the recent announcement that 15,000 parking spaces are now available free-of-charge to electric vehicles in Milton Keynes, I thought I’d look up where I can park my electric car in the city. I’m disappointed to report that a PDF form needs to be filled in with loads of unecessary information and even a copy of the car’s log book, all just to be issued with a sticker that says you have an electric car. I’m a bit perplexed by this. There are currently very few electric cars on the road and it doesn’t take a genius to recognise which are, or are not, electric. What’s more, you don’t need a log book to find out if a car is electric or not, as the registration number is more than adequate. 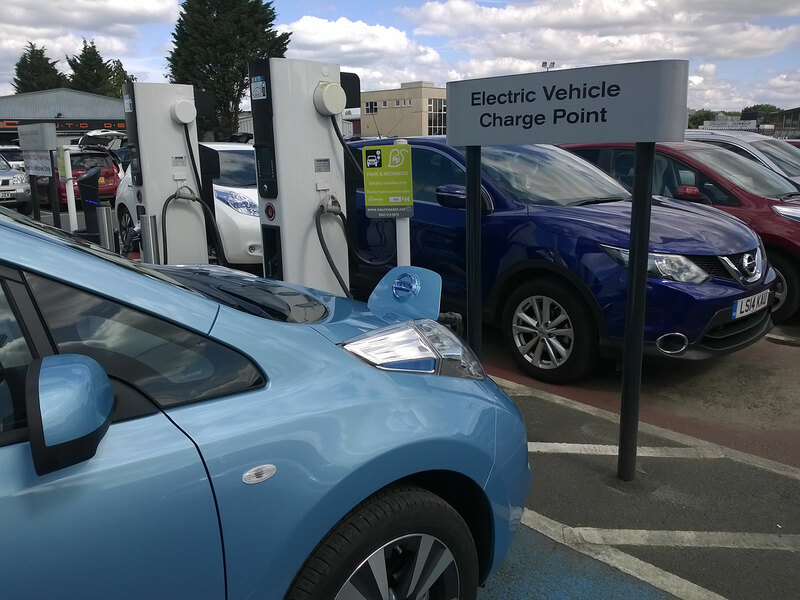 So I ended up paying for parking in an EV, in Milton Keynes, where there are 15,000 free EV parking spaces. 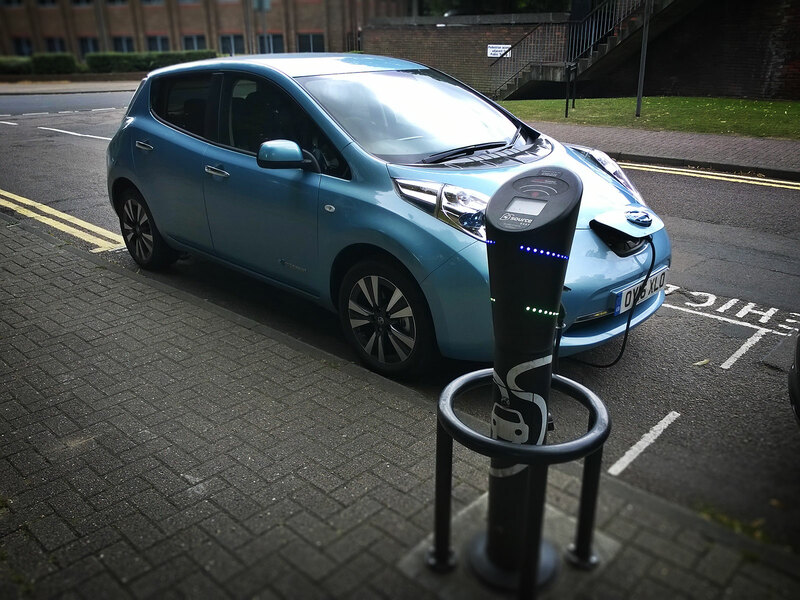 I appreciate the powers that be in MK are doing their best to encourage electric vehicles and that a certain amount of red tape is – sadly – inevitable, but the mere fact that we’ve been told parking an EV is free in MK and then finding out that it isn’t… unless you jump through lots of hoops is a bit daft. I don’t live in MK, don’t frequent the area and, of course, don’t own this particular electric car either and therefore don’t have access to the log book. I’m not the only one either, there are plenty of drivers who use cars but who don’t have access to the log book; for example hire cars. It seems like a poorly executed and needlessly complicated way to be able to park an EV for free. 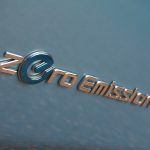 A suggestion would be to firstly put the form online rather than in PDF format and require only the number plate, which is more than enough to qualify whether a vehicle is an EV or not. On the other hand, if the powers that be are worried about the odd unscrupulous owner tying to disguise their Range Rover as an EV, a simple fine could be put in place to counter them – as already exists for those parking where they shouldn’t. All this reminded me of another sore point for EVs. On my return from Milton Keynes, I thought I’d stop by at a rapid charger that I had used once in the past. I couldn’t remember what network it was on, so I wasn’t sure I’d be able to use it. Fortunately, I didn’t need it, but I wanted to use it. I couldn’t. RFID card systems might work well in closed loops, like at private offices, but they don’t work well for a nationwide charging scheme. I appreciate things are still in their infancy, but it’s incredibly frustrating to arrive at a charge point having made the effort to get there only to discover you cannot use it for no other reason than you don’t have the right RFID card. 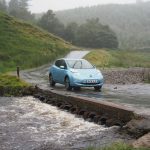 Yes, journey planning can avoid the issue but imagine if I had been a foreign driver visiting the UK in my EV and had needed rather than wanted to use the charge point. I would have been willing to pay for the electricity, but had no means of doing so and been needlessly stranded. 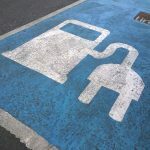 Ease-of-implementation rather than ease-of-use for the customer is behind the adoption of RFIDs and while plug-in vehicles are few and far between this is okay. And, as mentioned, there is a place for RFIDs to serve private networks like taxi ranks or at office blocks. 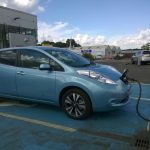 For a nationwide public charging network this isn’t the case at all, but what are the alternative options? First and foremost, mobile phone Apps are being turned to as a source of secure payment for charge points. This means you might not need to be an existing member of the network and can simply pay-as-you-go or quickly register online, if needs be. The only problem is many Apps are phone specific – Apple or Android – meaning those who prefer the inexpense of a so called “feature phone” are left bewildered by the assumption we all own expensive “smart phones”. What’s more, having a smart phone isn’t enough, as we’re also required to have a data tarrif. This might be commonplace, but it’s hardly guaranteed. Of course, Apps need not be phone specific and web Apps – a universal web-based software application – can be used instead. Indeed, Ecotricity is working on this at the moment for their Electric Highway. 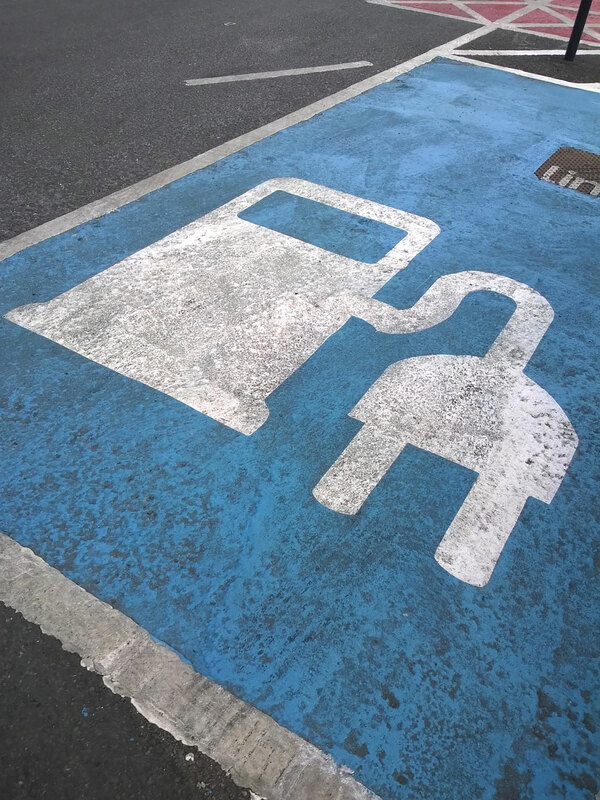 Some say charge points should accept card-payments from Visa and Mastercard, as these are age-old standards that a vast majority of users will have access to and use regularly. This is perhaps the preferred option without requiring the reinvention of the wheel. However, would you really want to enter your pin number at a dark roadside away from the bright lights and relative safety of a forecourt? Would charge points need CCTV installed if card payments were on site? Perhaps contactless payment is the way to go, but again not everyone has or wants this. To save upgrading expensive infrastructure with new card machines, perhaps a low-tech approach is better, for example installing a parking meter to pay for parking rather than charging, although the latter would be paid for indirectly. Automatic number plate recognition (ANPR) is another possibility. More and more supermarkets employ this to monitor the to-ing and fro-ing of their evermore congested car parks. 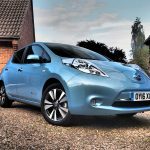 A monthly electric car utility style bill could then be sent to your home and this would take away the hassle of payment at the plug. Whatever method is best, it’s fair to say the current methods employed leave a lot to be desired. They may have provided an adequate starting point for the electric revolution but they risk restricting uptake, as people understandably dislike the idea of not being able to travel freely around the country without first signing up to a millenia of charge networks in advance. It’s a serious problem that needs to be addressed and fast. Nearly 1,000 miles have now been covered in OY16XLO, not a huge amount, but about average for any car – 1,000 per month or 12,000 per year. Most journeys have been local, it must be said, but one finds that occasionally a longer distance journey is necessary and the Leaf is just as adept at doing this as it is short journeys. 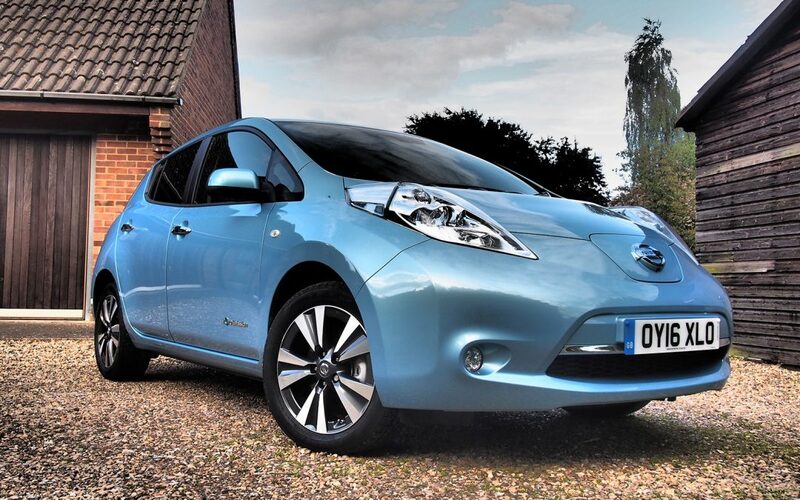 I’ve become comfortably accustomed with charging the Leaf roughly Twice a week. Because I live close to about six conveniently located Source East charge points, including a Nissan Dealership less than a mile away with CHAdeMO rapid charging and the local Waitrose that offers free coffee to MyWaitrose members (very nice, thank you) I find that I rarely have to charge at home. This goes someway to proving electric cars are perfectly viable even without a home charger, just as the vast majority of people who live in flats don’t have their own petrol station downstairs either. Nonetheless, when travelling a distance beyond the range of the car, things need to be considered. 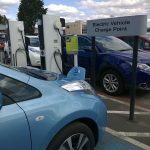 I’ve been driving electric cars for a few years now and so have become accustomed to this process and indeed know where most of the major locations for charge points are around the outskirts of London, where I frequent. i recently had to do a longish journey of driving from St Albans, just north of London, to Bedford then from there to London Heathrow and return to St Albans again. 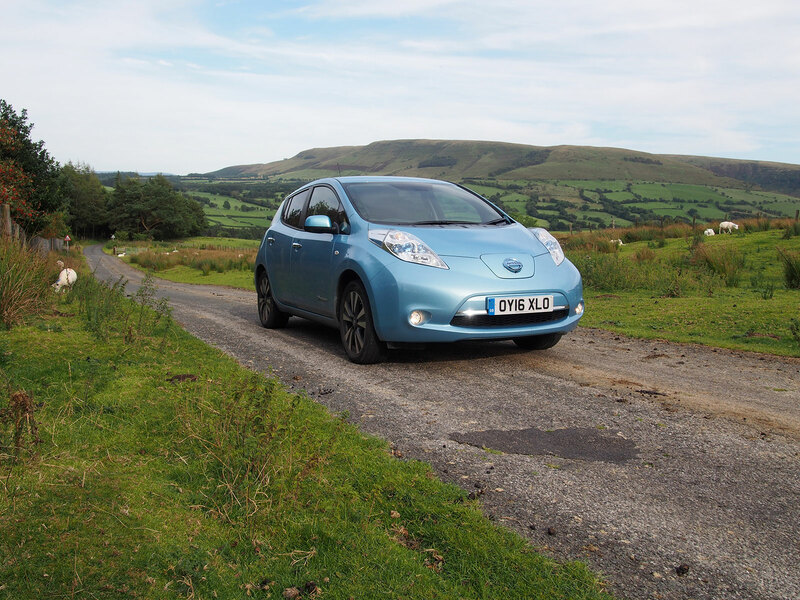 It’s a distance of some 120 miles and of course requires quite a bit of motorway driving, where the Leaf – and all other cars – use more energy if travelling at 70mph. The best figure I have seen stated on the estimated miles remaining gauge is 135 miles at 100%. Easy, you might think. But of course travelling at 70mph for any extended period saps energy at a faster rate than town driving and so charging en-route was likely to be necessary. Likewise, the passengers I was to collect had two large suitcases and there’d be four people in the car, adding weight that’s not usually there. My 135 mile range would therefore likely drop to less than 120 miles. Fortunately, I was able to nab some charge while at Bedford area, so I’d be topped up a little after the run up there. I could also opt to take the scenic route rather than blat along the A1. This would conserve some energy for the long slog down to Heathrow. Likewise, I was hoping for at least a little traffic on the M25 that would slow things down a bit and reduce energy consumption. The M25 can generally be relied upon to offer some good energy saving hold ups. With all this in mind, range anxiety was kept well in check – for me at least. My passengers, on the other hand, were less confident. Why? Simply because they’re not accustomed to driving a car with a 100-mile range. No other reason than that. Experience plays the greater education in this regard and the journey went without a hitch. I opted to travel back from Heathrow via the North Circular, rather than the M25 too, as it is both slightly shorter, slower and has several charge points en-route, just in case. 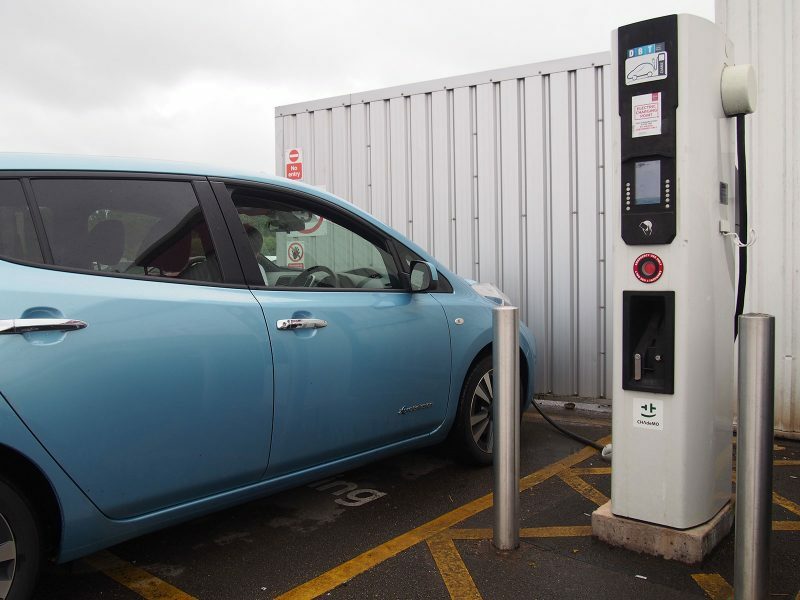 At the time of travel, Ecotricity were half-way through changing their Electric Highway to be equipped with the new App payment scheme of £6 per 30-minute charge and on arriving at South Mimms Services (where the A1 and M25 cross) the Leaf had 10% remaining charge. That’s nearly 3kWh of energy, or a lot of miles in truth. 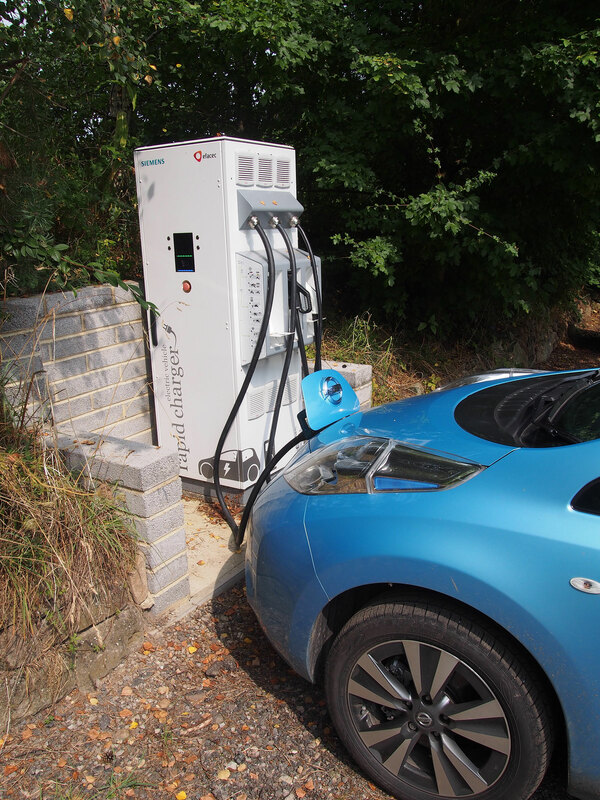 I decided to pop in for a quick top up – if the charge point had not yet been updated. It hadn’t. So, a quick five-minute charge later as we were on our way again using only 5% energy to do the remainder of the journey to St Albans. A shorter route on slower roads will help get your further. Plus there’s the bonus that it’s prettier and more engaging, but it may take a bit longer to reach your destination. This may be offset by not requiring plugging in though, depending on the distance. Charge when you can, if you can, for short periods. 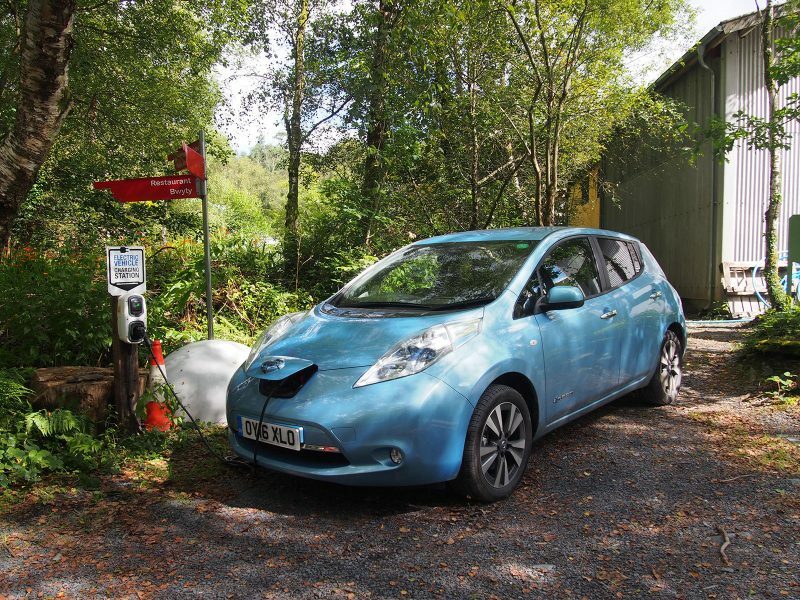 Just five minutes plugged into a regular 7kW charge point will give a few valuable miles. 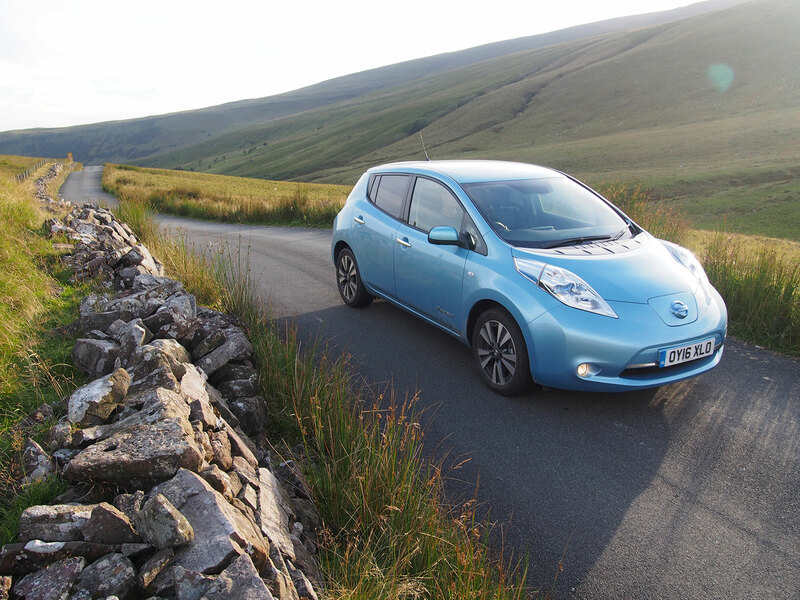 it’s worthwhile doing if it means you’ll avoid a £6 30-minute charge on the Electric Highway. In the South East at least, distances may be shorter than you think. 100-miles is actually a long way. It helps put into perspective the Leafs range and how short the vast majority of journeys actually are. Travelling at speed on motorways is fine. The car is more than capable of keeping up with traffic, but consider that your range will be reduced by a good 25% if you’re driving at a constant 70mph, whereas you’re usually around town. Patience is a virtue. We all know this, but some traffic on a motorway can help slow things down and enable you to travel further. Don’t necessarily leave 30-minutes later than you want to, in order to avoid traffic. That same 30-minutes may end up being wasted unecessarily at a charge point, for the sake of a little patience driving in traffic instead. Having lived with the Leaf a little while now, a few things stand in both positive and negative lights. Here are my top 5 of each, although this could of course change with time and an alternative perspective. 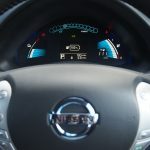 Fortunately, I must say the negative aspects are largely minor and inconsequential so Nissan could easily put them all right with the next generation of the Leaf. Electric range. The 30kWh battery is proving to be fantasticly forgetable, in the best possible way. 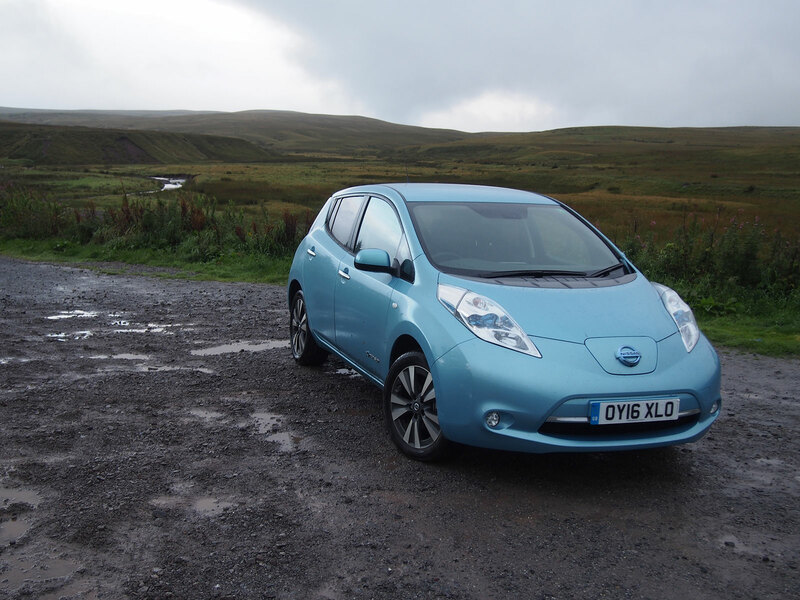 Not once have I experienced range anxiety, whereas in previous tests of the 24kWh Leaf I had. 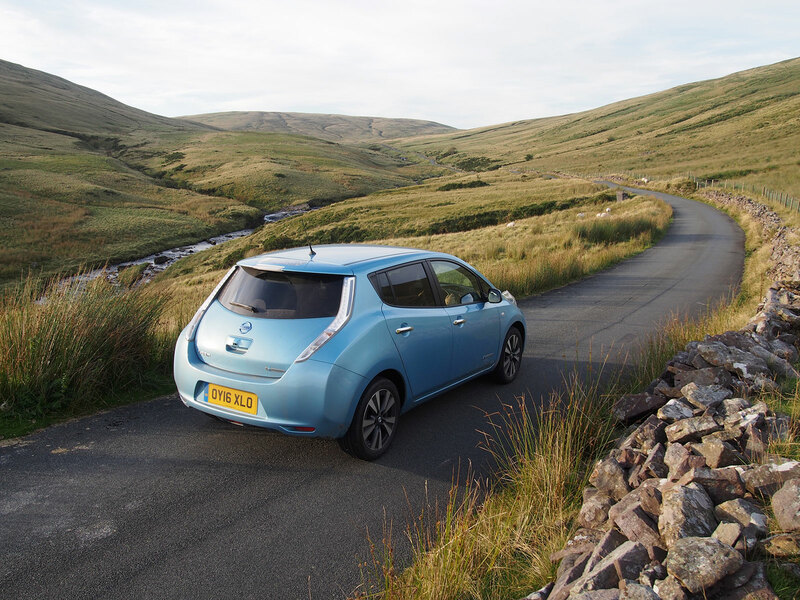 Like-for-like journeys are hard to match, but generally speaking the 30kWh’s extra miles are a dream come true. More than 100-miles is actually pretty darned far to travel, especially living in the south east of England, so a real-world range of 130-miles means I’m never without a few spare miles and I generally don’t have to worry about how heavy I am with the throttle, so the car is more enjoyable rather than constantly monitoring my driving style. 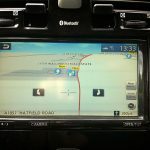 The revamped touch screen. It’s still not perfect, but it’s a hundred times better than the older system. The design interface is far more appealing and modern and – importantly – it actually works too. There are a few too many hidden menus and uninspired user interface choices, but overall the system is quick and easy to navigate and just works. Good. Reversing 360º camera. I know it’s no longer new and Nissan’s Leaf cameras aren’t the best quality compared to say the BMW i3, but the system is a pleasure to use. It’s a genuinely useful addition to have and well-worth the money. Put it this way, no matter how great a driver you are scratching your pricey alloys is all too easy and this gadget might just prevent it from happening altogether. Bonus. For the less observant driver, it’s a total god send. For the more observant, it’s still very helpful. Instant air-con and heating. Yep, we live in the UK where the weather is so unbelievably changeable at the moment… one moment it’s roasting hot and the next freezing cold. Thank goodness for instant heating/cooling! 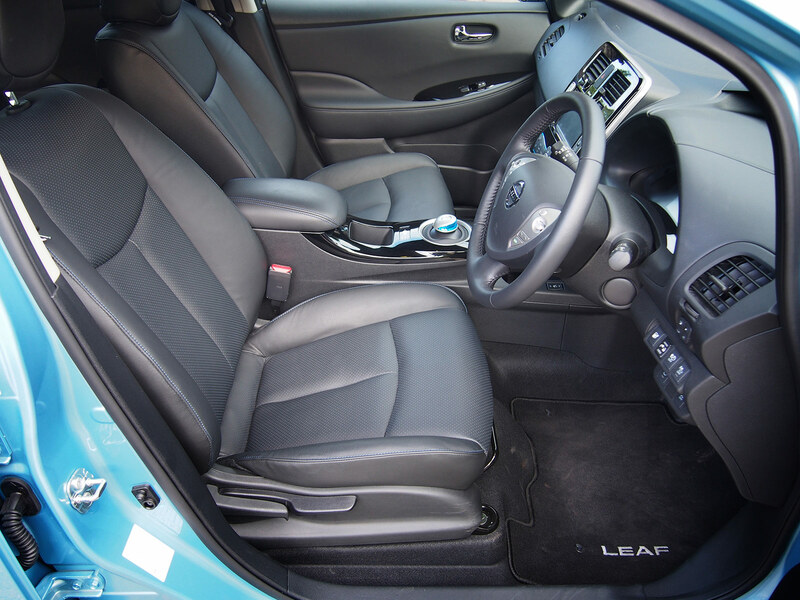 This is a benefit not only of the Leaf but any electric car and on cooler mornings a few seconds wait delivers warm air, while on hot days the a/c is deliciously cold like you’ve opened a freezer. I jump in and out of a lot of cars so I really notice the instantaneous response the climate system delivers when stepping into an old fashioned ICE. It’s one of those things you think won’t matter, but is hard to live without once experienced. Keyless entry. I must admit this is an unecessary gadget, but it is one that makes life simpler. I never take the keys out from my pocket and instead simply press a small button on the Leaf’s door handles to both lock and unlock the car. Starting is simple too as no key needs to be threaded into a slot with keys jangling about or scratching the surrounding plastics. Something really petty, but oh-so-irritating here. The USB socket. Okay, first of all it looks as though it was a bit of an afterthought and Nissan opted for the budget option of both this and the aux-input for the stereo system. But looks aren’t what I dislike here. No, instead what I dislike most about the USB slot is its inability to provide any real power to my mobile phone. I’ve tried several phones on it now and each sits there as though they’re unplugged. Maybe it’s this car? It’s annoying that I’ve had to resort to my trusty Anker rapid phone charger that plugs into the 12V socket. Fortunately, Nissan has installed this in a sensible location and so the Anker doesn’t stick out like a sore thumb too much. Hand… err… foot brake. 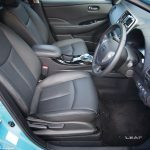 Yep, America’s antiquated but somehow still popular preference to have the traditional handbrake operated by your foot is a nuisance in the Leaf. For a car that purports to be high tech, why the Leaf doesn’t have a button-type hand brake, I just do not know. Better still, why not go the Tesla approach and have it automated altogether without a button at all! 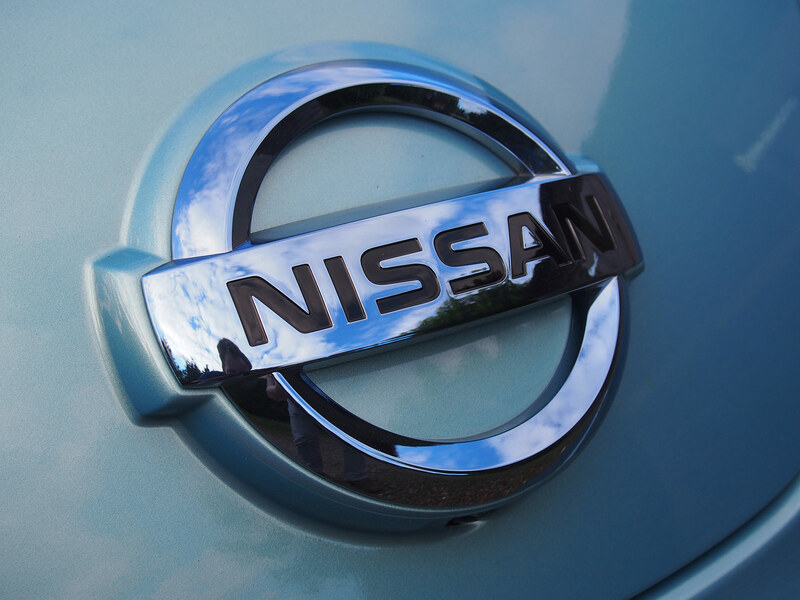 Whatever the reason for Nissan’s choice of hand brake – and it does work fine – it just feels a touch clunky to have to operate it by foot when a more modern approach would not only suit better, but work better too. Boot capactiy hampered by EV cables and Bose. I’m not a boy racer who thinks stuffing my boot with anything other than soundware is sacrilege. 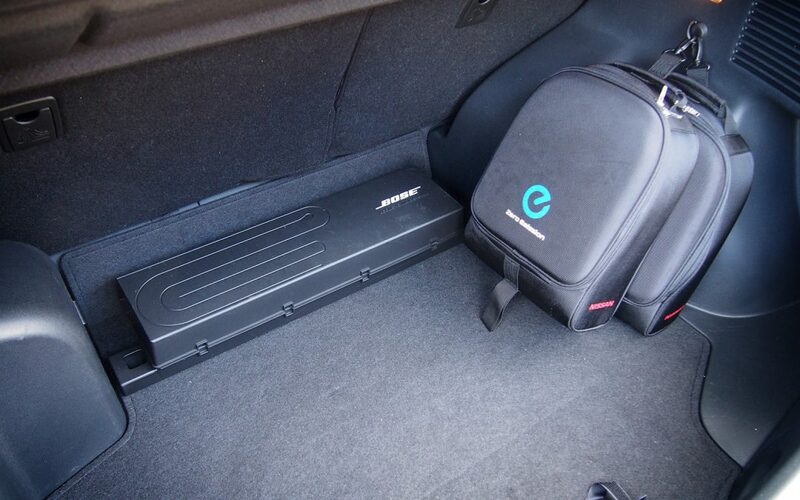 I’m sure the Bose box provides a wonderful accoustic ambiance, but it’s a shame it is such a big lump at the back of rear seats, where typically I’d place luggage. I’m also concerned about putting anything in the boot that might damage it, although the plastic box looks hard wearing. Still, it’s a cumbersome thing and in a future Leaf I’d like to hope it’s hidden away somewhere. 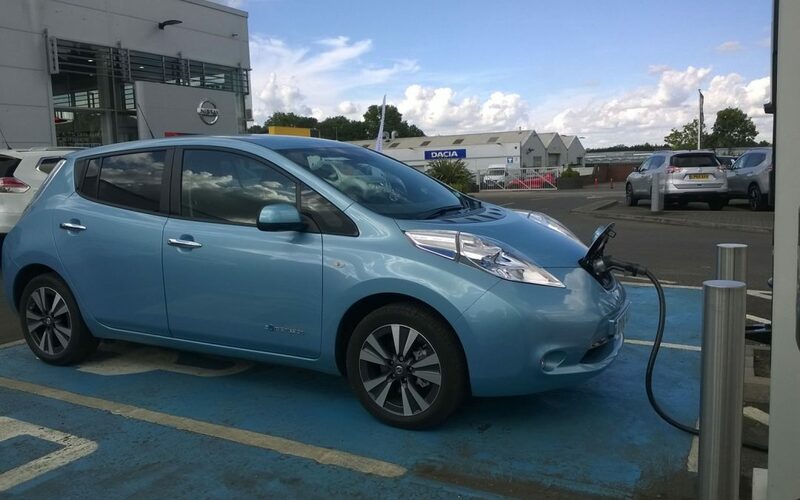 Likewise, the Leaf is only sold as an electric car and as such I find it amazing there’s nowhere to hide away the cables so they don’t take up any room. This would have been easy to do in the design stage, but instead my Leaf boot is filled with two quite large cable boxes that are a bit of a nuisance. 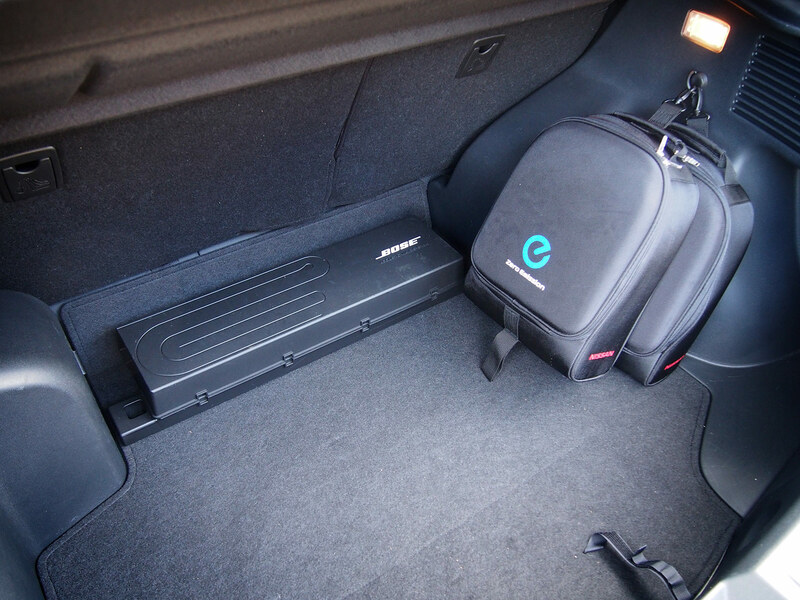 A dedicated storage area for these makes a lot of sense, even if it’s under the bonnet rather than in the boot. Charge port protective flaps. Not exactly the end of the world, but it is all too easy when messing about with cumbersome cables to try to close the car’s main popup access panel onto an unclosed charge socket protecting flap. The CHAdeMO’s is the main culprit here, as it is big and I fear that it may break if I forget to close it, which I have done once or twice already – but fortunately it hasn’t broken yet. The smaller Type 1 socket is less of a problem, as the access panel can be closed even if you forget it, but it wouldn’t have been too difficult to have this automated when closing the flap and not be required to remember it. Steering wheel reach. 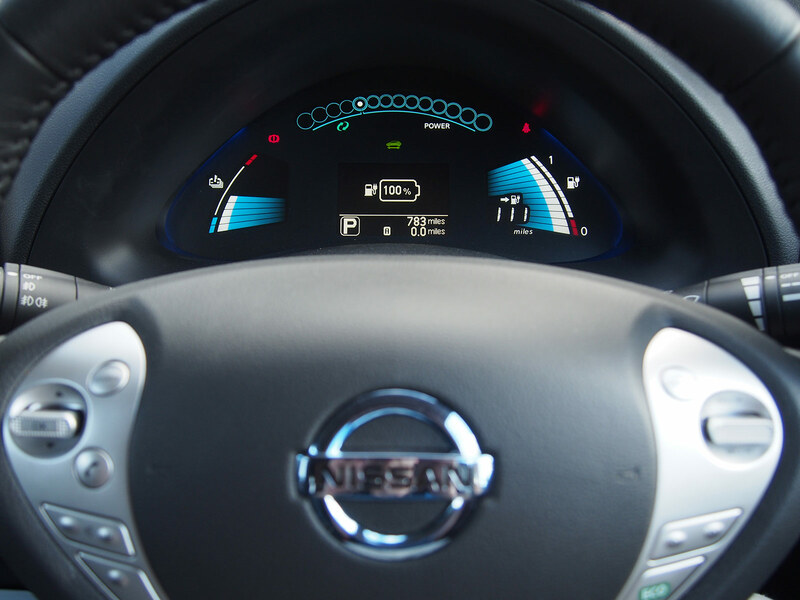 I’m a taller driver and Nissan make cars with steering wheel reach, but not the Leaf. I don’t know why this is, but I’d have thought it would be something easy to implement and would benefit a huge number of people who may otherwise struggle to get comfy and still be able to reach the steering wheel. So, range anxiety is the thing holding you back from buying an electric car, right? It’s one of the most frequent excuses given to not considering an electric car and, I have to say, understandably so. The fear of not being able to reach your destination and the ramifications that brings with it aren’t exactly enticing. I’d love to tell you that running out of range is a wonderous experience that isn’t filled with grief or difficulty… but I can’t. The reason I can’t, is because I have never run out of range in an electric car. The Leaf 30kWh that I have on long term test currently chirpily displays a 130-mile range when fully charged. How far is that? Well, although the number “130” may not seem like much, it is in fact quite a distance. For my personal driving habits, the train station is a 6 mile return, shops are similar or even closer and other facilities one might want, or need, to visit are all within 10-miles or a 20-mile return journey. That means that to a single charge of the Leaf, I’m able to go back and forth six times on the longest journey that I make on average. The places that are ten miles away are, however, not where I frequent. Instead, most of my journeys are actually within a 10-mile return voyage and so using the same ideals I can do 12 of these journies without ever having to worry about range – and still have a remaining 10-miles. In practice, this means I rarely need to plug-in. While it is tempting to plug-in as soon as I return home, lately I haven’t been bothered to do so. Firstly, for the above mentioned reasons and secondly because our British weather is so changeable currently that I can’t be bothered to get wet pluggin in or put away a wet cable if it rains in-between plugging and unplugging. Likewise, I’ve been visiting shops and areas that all have charge points. I’m not choosing these places because they have charge points, instead I’m going to them and they happen to have them, though I admit to looking this up in advance. 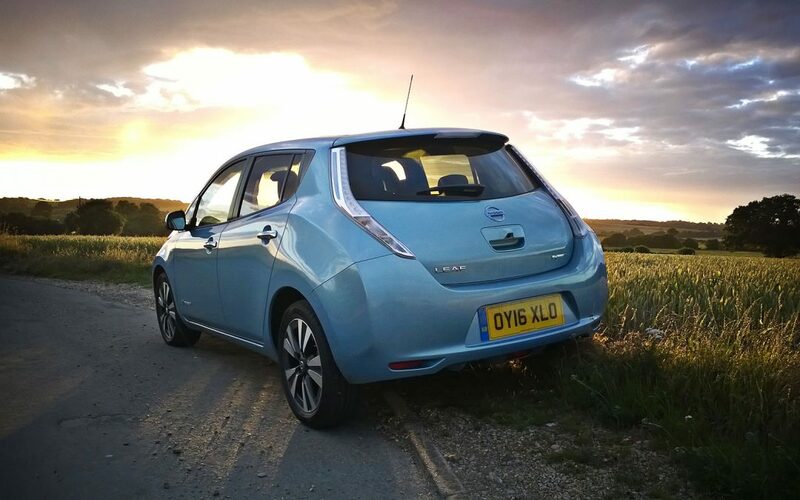 My point here is this: I’ve travelled a lowly 318.3 miles in the Leaf so far and only plugged in at home twice meaning running the Leaf is saving very much more money than originally anticipated. Now I know what you’re thinking. That’s all well and good, but what about longer journeys? Well you’re quite right to question this and if travelling a long distance (i.e. 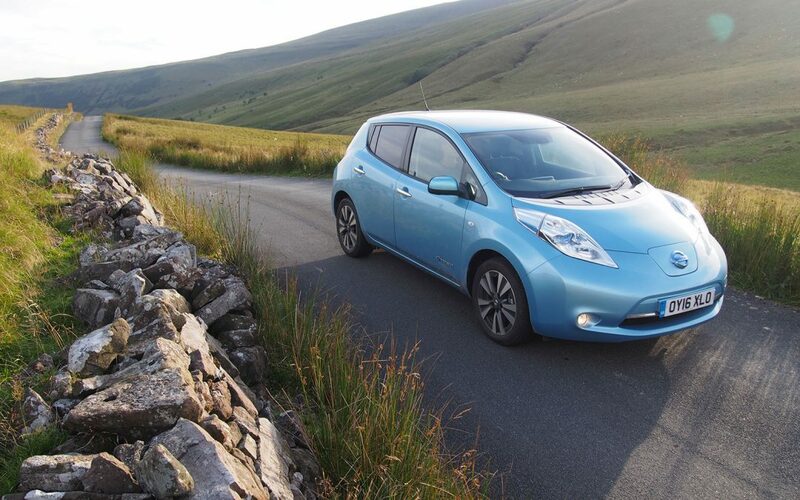 further than the Leaf’s range) along a motorway there’s no denying you’ll have to stop and charge en-route and pre-plan to reach your destination and be able to return again. However, a long journey isn’t necessarily just miles related. For instance, I live in St Albans – famously just 20-miles north of the City of London. That’s not far, but it can take hours to get there by road. Trains are dissapointingly expensive though, so when I was recently asked to attend a meeting in central London (Chelsea Harbour) I decided to take the Leaf for a spin. The benefit being I was in my own comfortable space and not sharing the same air with a commuter with a cold. Congestion charge exempt and head held high, I set off. Two and a half hours later I arrived late for my meeting but no worse off other than time. I plugged the Leaf into a handy socket in a Sainsbury’s, bought a drink and wandered off. Now in my book any two and a half hour journey is a long one yet I had only covered 25 miles of actual road. I set off with 96% battery charge in the Leaf and arrived with just under 80% remaining. It had used hardly anything at all. Unlike the stressed out manual car/van drivers that were about me, I was also comfortable and happy in the knowledge that driving was a virtually one pedal experience, the brake, and that I was also one of the fastest things on the road from 0-30mph at least. 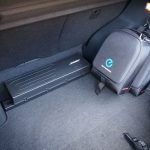 It is more convenient not to charge when headed a long way, but perhaps it is worth questioning a little bit more how many miles you actually cover, as you might well travel for hours but not cover much ground. If living near a town or city, I’m betting not and so an electric car might just be the relaxing alternative you need to make that journey not only cheaper, but more pleasant too. 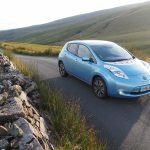 Electric cars are of course capable of longer trips and stopping every 100 or so miles really isn’t that much of a hardship, especially when you can charge for free using Ecotricity and other similar free-to-use networks. I for one travelled from London to Paris last year in a Leaf without any issues whatsoever. It took longer than it would have in a petrol or diesel car, but it was no less fun or enjoyable. One week into Leaf ownership and the car has already proved a more than useful tool. Of course, being accustomed the ways of an EV and familiar with charging helps but it doesn’t take anything away from the fact that electric cars just work. 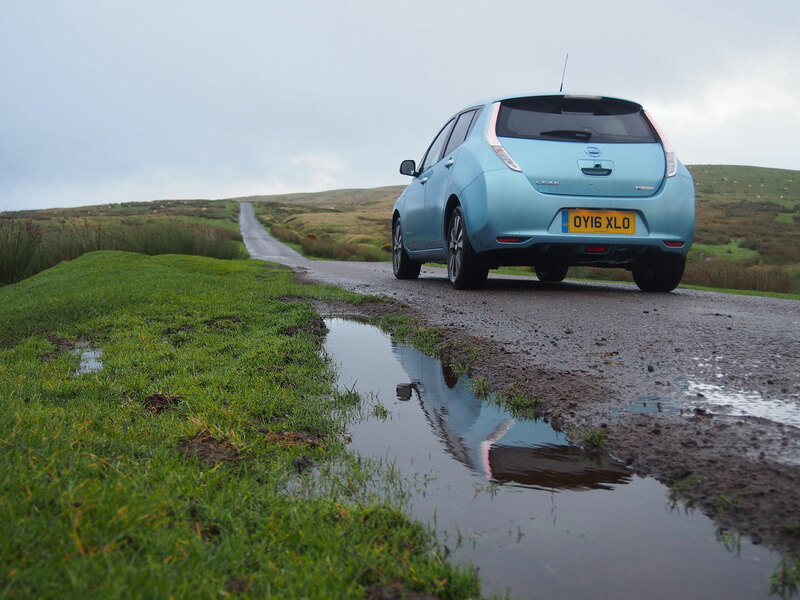 So far, 136.3 miles into my time with the Leaf and my total expenditure on “fuel” has been a mere £0.45. Why? Because I’ve only charged the Leaf once at home and that means it’s working out as far less than 1p/mile travelled. This impressive figure is, of course, only attainable while there’s free electricity on tap around the country. 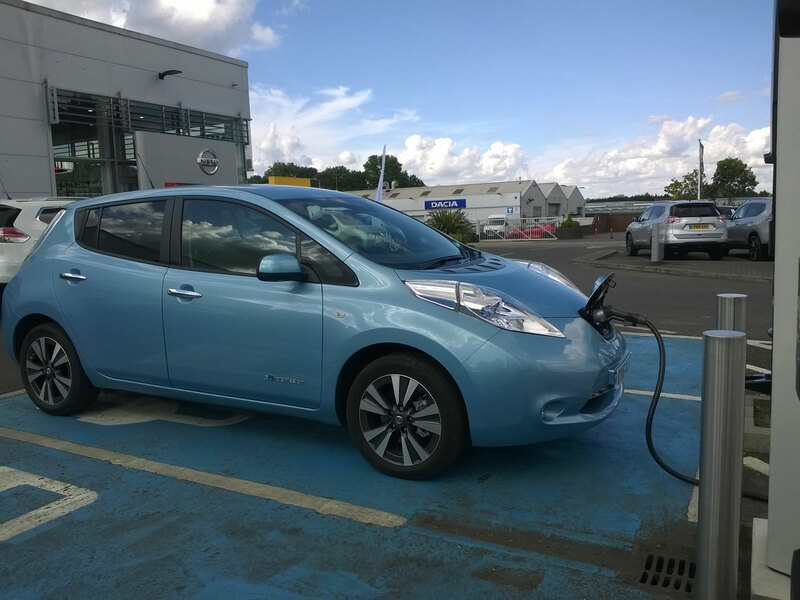 So far, I’ve taken advantage of a Source East 3.5kW charge point in Watford, while attending a comedy evening and another CHAdeMO rapid charge Source East point at my local Nissan dealership – just because I can. They’re a nice bunch there too, which makes it all the more worthwhile. Crucially, I’m not going out of my way to do this. I’m not purposely saying to myself that I won’t charge up at home – instead I simply haven’t needed to. Most of my journeys are under 10-miles and it’s surprising how many times you can jump in and out of the Leaf to travel these distances without a moments thought about the battery capacity. The lowest charge so far has been 35%, good for another 48-miles according to the range gauge. Perhaps more critically, apart from the slow charge at Watford over a couple of hours, I’ve not hung about waiting for the car to charge. Instead I’ve simply plugged in and left it to its own devices. However, there’s one small but significant exception here, which is when plugged into the CHAdeMO at the Nissan garage. I’ve actually used the time to write this. 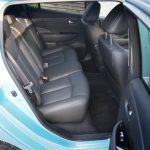 In that short space of time it has taken me to write this up, the car’s charge has increased from 35 to 65%. Err. 66%. 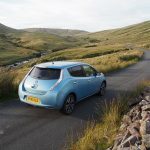 Obviously, I don’t intend – or need – to charge the car to 100% here, as my next few journeys are likely to be well within a one-hundred mile round trip distance. In other words, the 130+ miles that my range gauge tells me I am able to do with a 100% fully charged battery isn’t really needed. I admit that I might not represent people who live in rural areas, but I don’t exactly live in the city centre myself. Hertfordshire is one of the Green Belt counties, something that’s fast being eroded by new homes. Anyway, my point is the roads I travel are varied and give a good overall indication for a car test. Shops and the station are within ten miles no matter which ones I choose to visit, but depending on the time of day I can either travel via country lanes or be stuck in traffic. The six-mile commute to the station and back can take anywhere between 20 minutes to an hour! 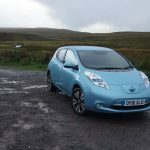 When I have to travel further there’s plenty of range in the Leaf to do so and if I know in advance that I’m travelling a distance, I can simply charge at home – hence the £0.45 cost so far. For my general week’s travelling though, I don’t need to charge at all and can rely on the 30kWh battery capacity and never experience range anxiety. There’s nothing quite like trying this for yourself and you don’t need an electric car to do so. Simply take a note of the distance you travel every journey. My bet is 99% of you will be well within the 130-mile range my Leaf is currently indicating it’s capable of. 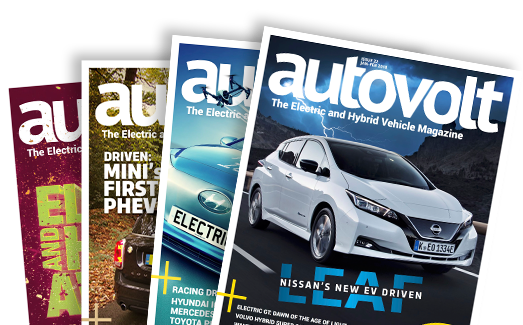 My first week with the Leaf has, however, been slightly unusual in that I had a Tesla Model S on loan too (it’s a tough life), which has meant less driving in the Leaf than is typical. That being said, most of my Tesla driving was to test the Autopilot system and not actually get anywhere in particular. 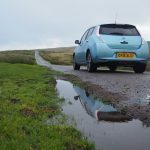 I am fortunate enough to have a charge point at home, but not having one or living somewhere you cannot install one, such as a flat, shouldn’t necessarily put you off electric car ownership. 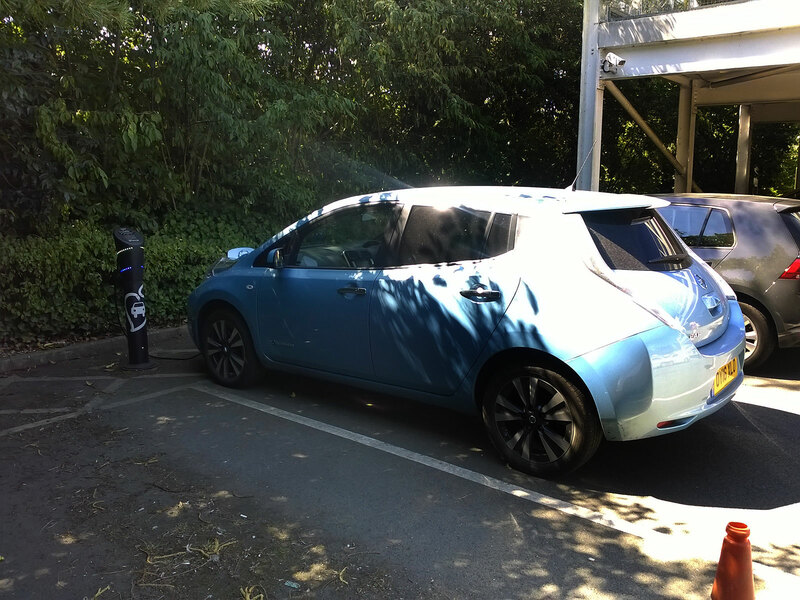 In fact, when I was last at Thurrock services I met a Leaf owner who had never charged anywhere other than public charge points because he lives in an apartment and his total energy costs during the year he had owned the car was zero. 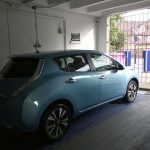 He had subsequently set himself the easily achievable challenge of never paying a penny for electricity for the duration of his Leaf lease. 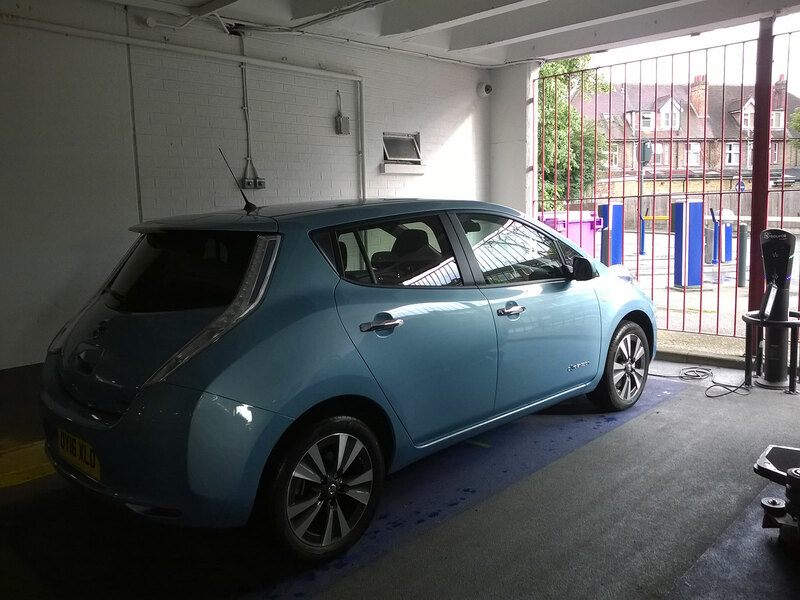 Our Nissan Leaf long term test car has arrived, hurrah! 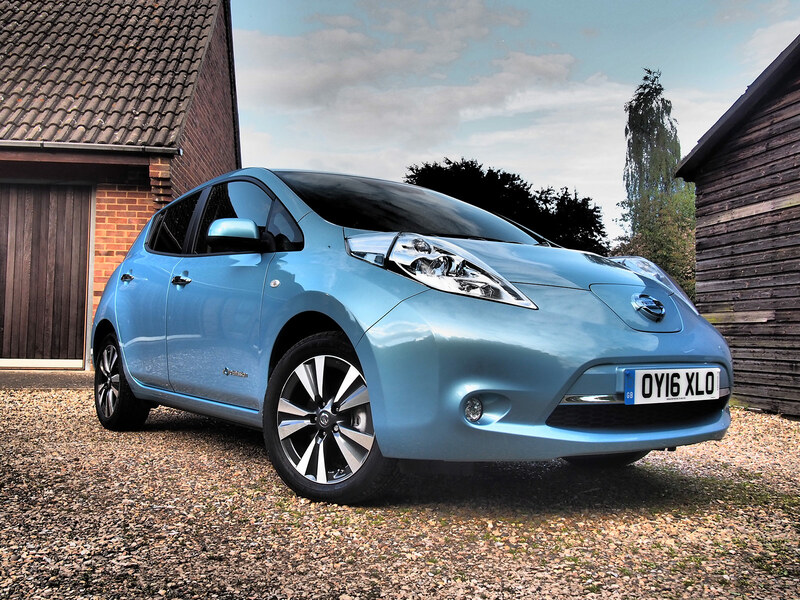 The Leaf will be my daily driver over the next few months and I intend to fully capitalise on its electric efficiency. 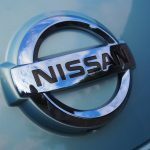 OY16XLO is a 30kWh Tekna, meaning it has the largest battery currently offered by Nissan and the highest level of equipment too – thank you Nissan! 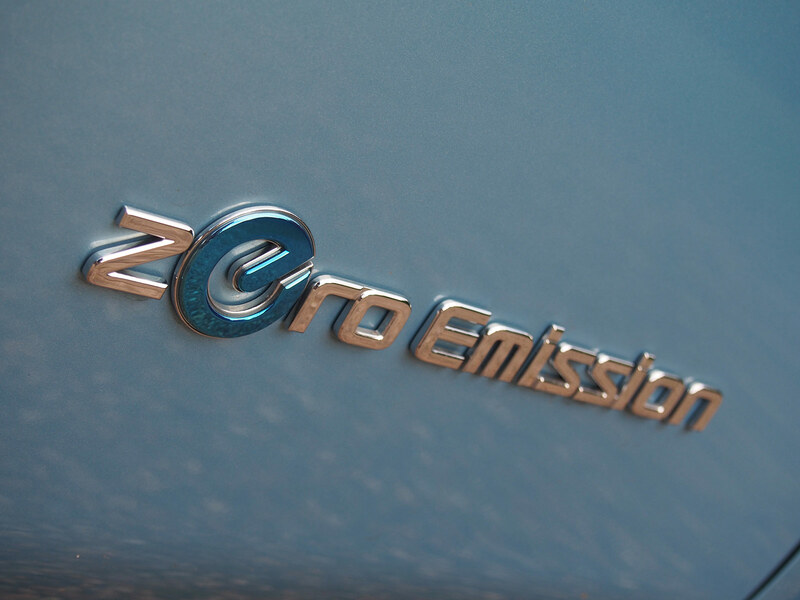 Official range is estimated at 155 miles (NEDC) but, as is true for all electric cars currently, true range is lower. 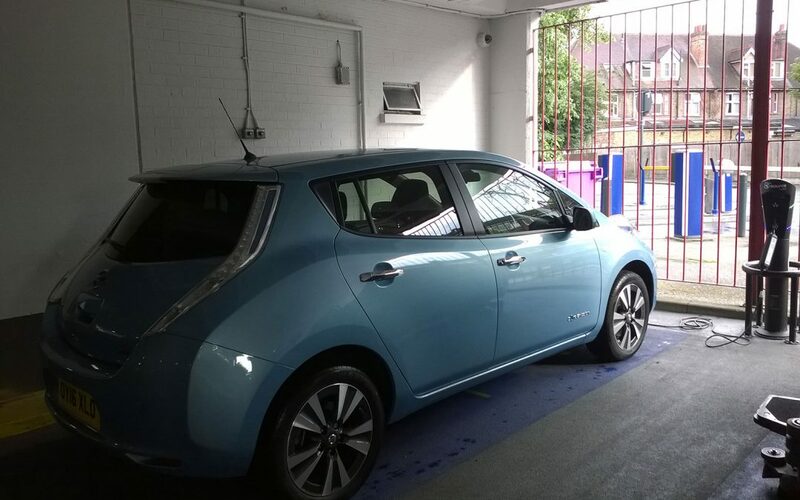 The 100% fully charged Leaf shows 111 miles range currently and as weather conditions are favourable, this is likely to be about right and accurate. 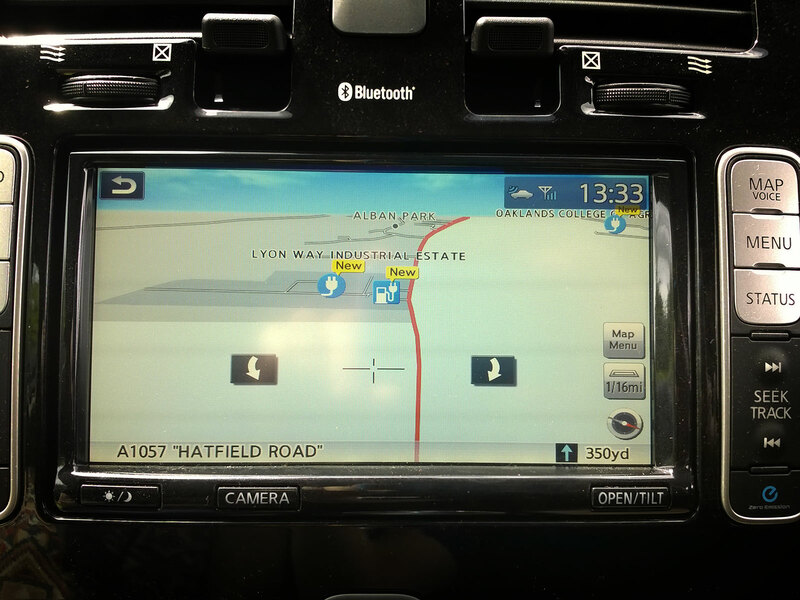 However, because OY16XLO isn’t a new Leaf – having covered a mere 750 odd miles already – I’ve reset all the counters and have already seen an improvement. Travelling my commute of just six miles through excrutiatingly slow traffic has already delivered better than expected energy use, 4.6miles/kWh so far. At that level of energy use, actual range could be as high as 130 miles – but time will tell whether this is true or not. Spec wise, the Tekna includes some nifty novelties including 360º camera that’s great for reversing and gives an excellent GTA view of the world. 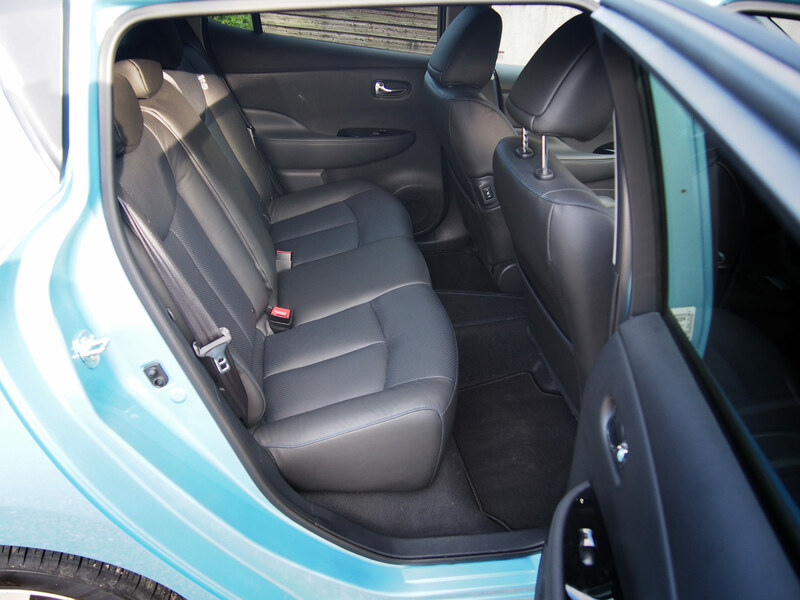 There’s heated front and rear seats and steering wheel, not that these will get much use in summer – I hope! And there’s also black leather trim, LED headlights, 7-speaker BOSE speaker system and smart 17″ alloys. Plenty to keep me occupied and entertained over the coming months. More updates to follow.